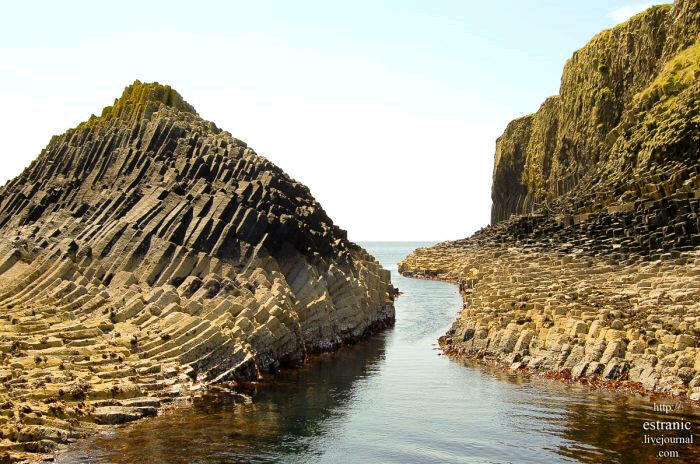 Staffa from the Old Norse for stave or pillar island, is an island of the Inner Hebrides in Argyll and Bute, Scotland. 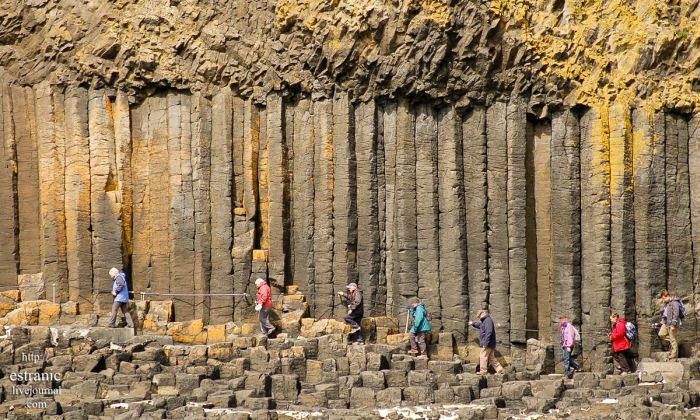 The Vikings gave it this name as its columnar basalt reminded them of their houses, which were built from vertically placed tree-logs. 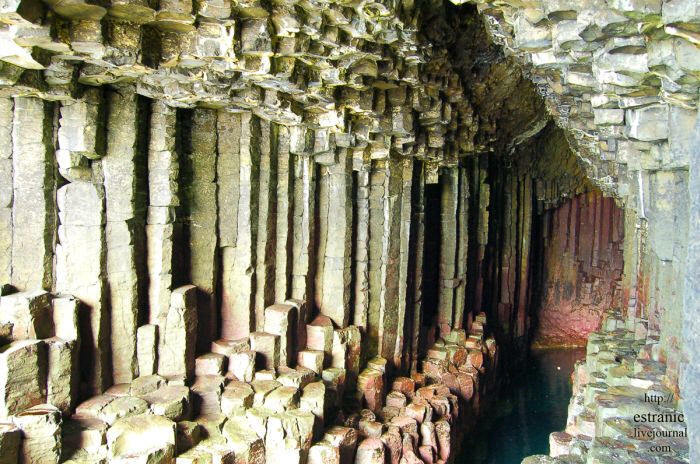 Staffa lies about 10 kilometers west of the Isle of Mull. 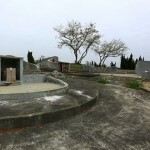 The area is 33 hectares and the highest point is 42 meters above sea level. 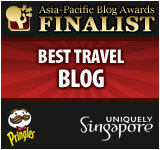 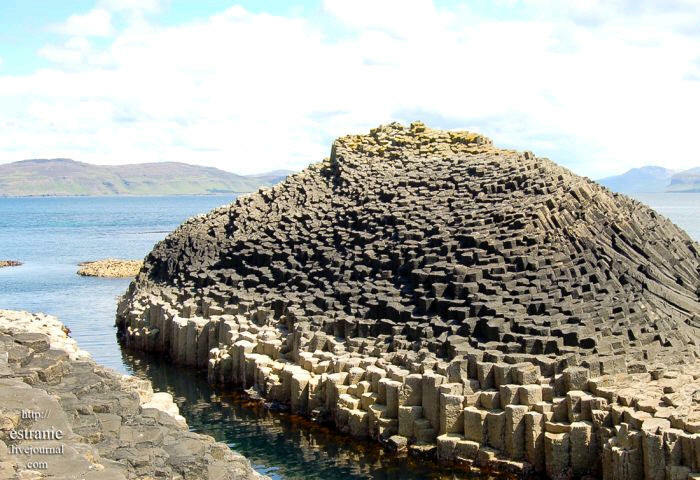 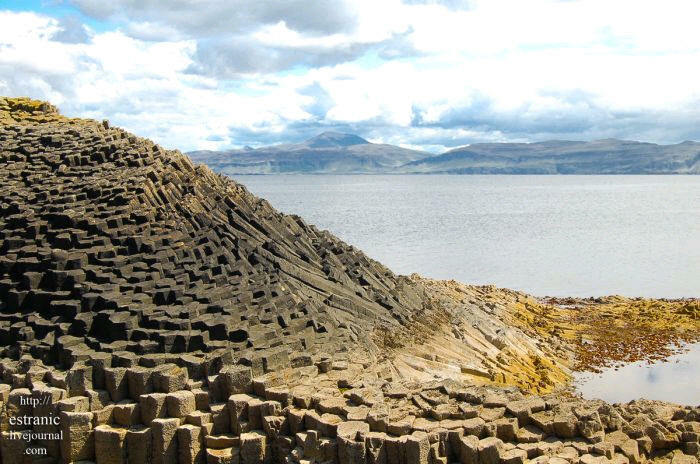 About similar nature pattern to Giants Causeway in North Ireland, Staffa Pillars is really amazing! 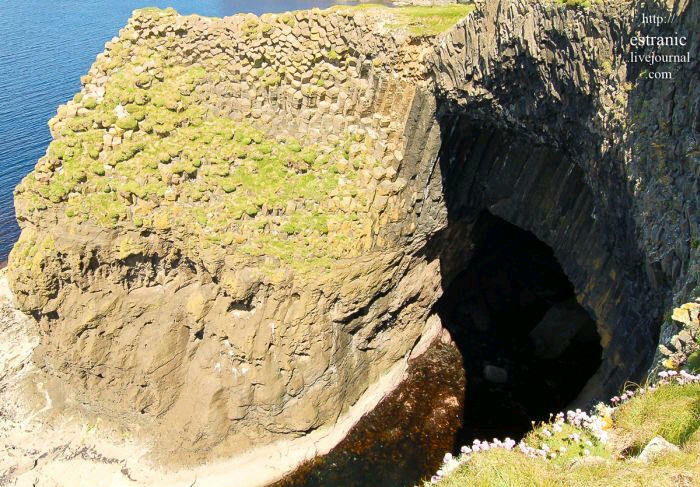 The island came to prominence in the late 18th century after a visit by Sir Joseph Banks. 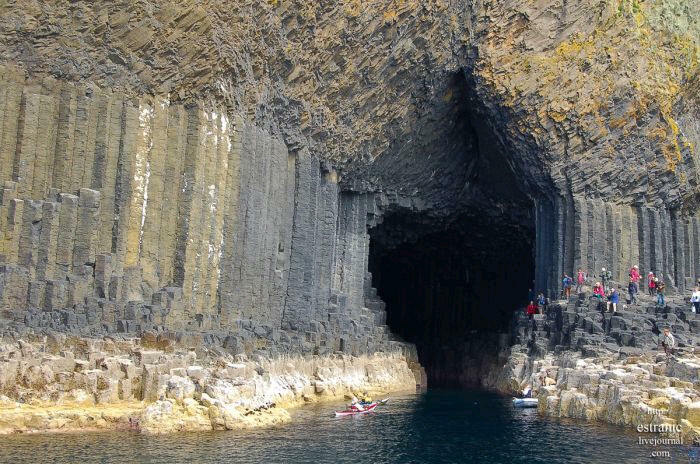 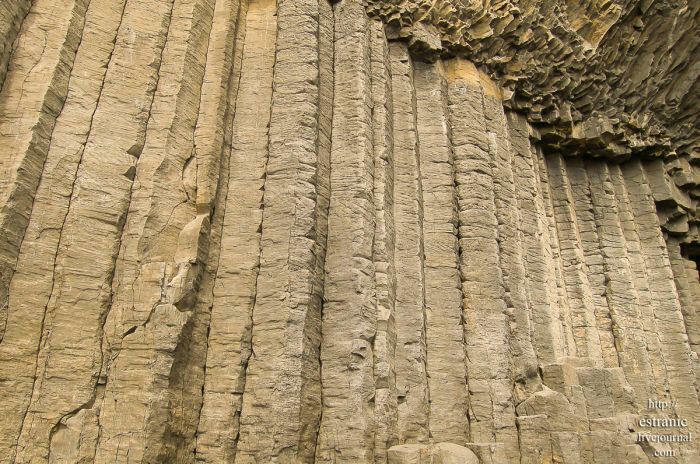 He and his fellow travelers extolled the natural beauty of the basalt columns in general and of the island’s main sea cavern which Banks re-named ‘Fingal’s Cave’. 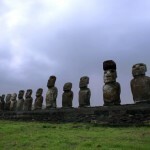 Their visit was followed by that of many other prominent personalities throughout the next two centuries, including Queen Victoria and Felix Mendelssohn. 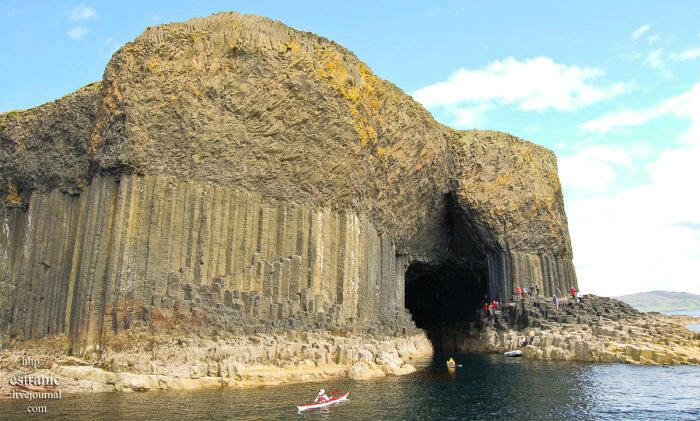 The latter’s Hebrides Overture brought further fame to the island, which was by then uninhabited. 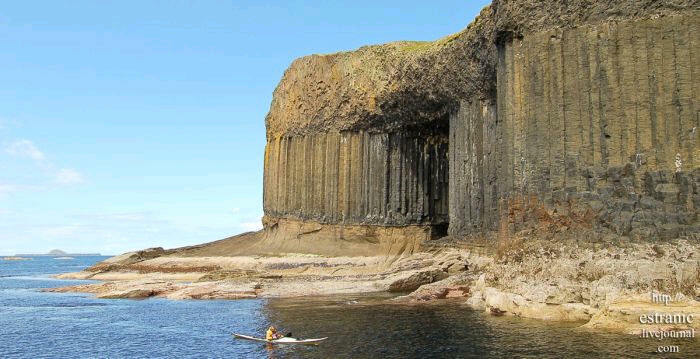 It is now in the care of the National Trust for Scotland. 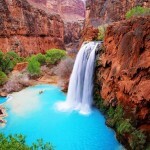 See it yourself. 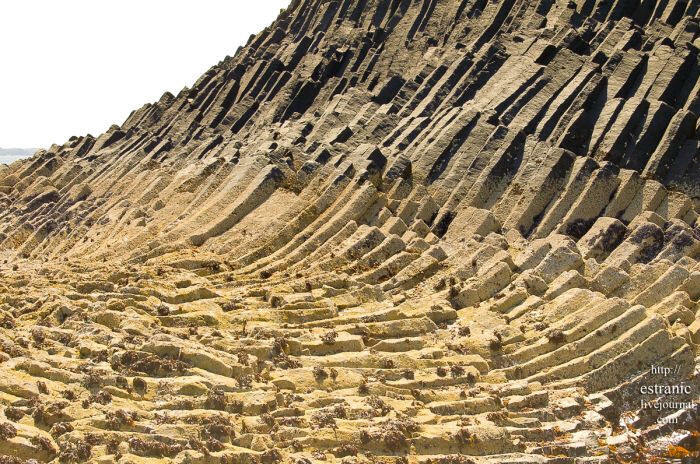 Pretty amazing eh?